Offering strength and style for everyday use, this 1.5 oz. 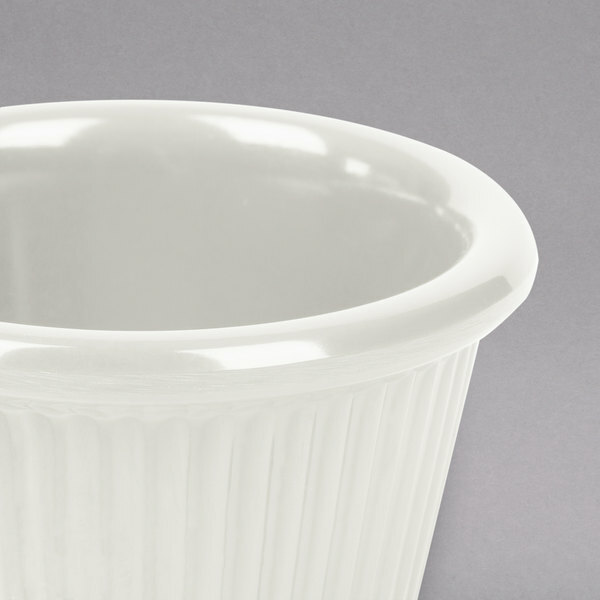 bone-colored fluted melamine ramekin is just what your restaurant, bar, diner, or cafe is looking for! 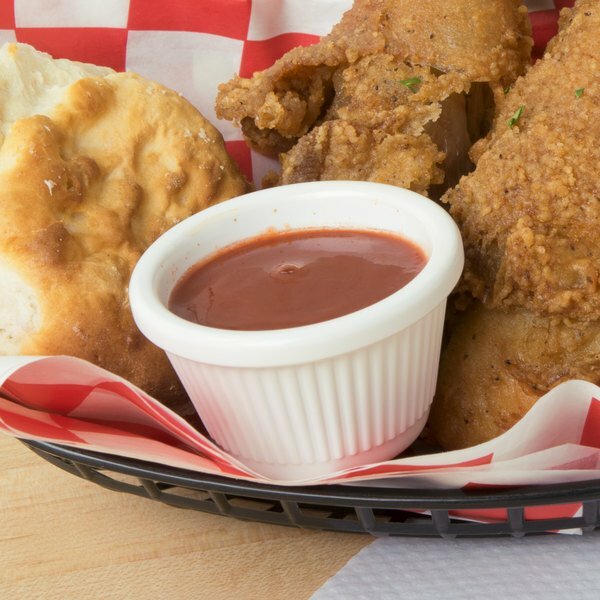 It's perfect for holding sauces, salsas, and other condiments that accompany your appetizers and entrees. 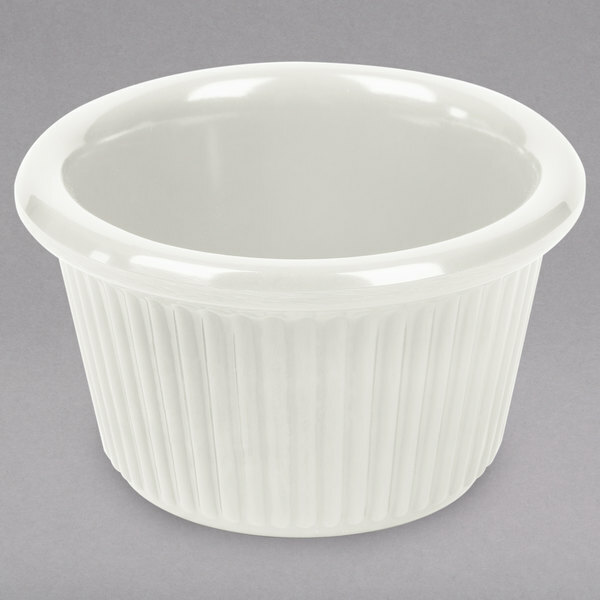 Whether you're serving ketchup alongside a basket of French fries or butter alongside a baked potato, you won't have to worry about breakage with this durable and dependable ramekin that's made of thick-walled, heavy weight melamine. 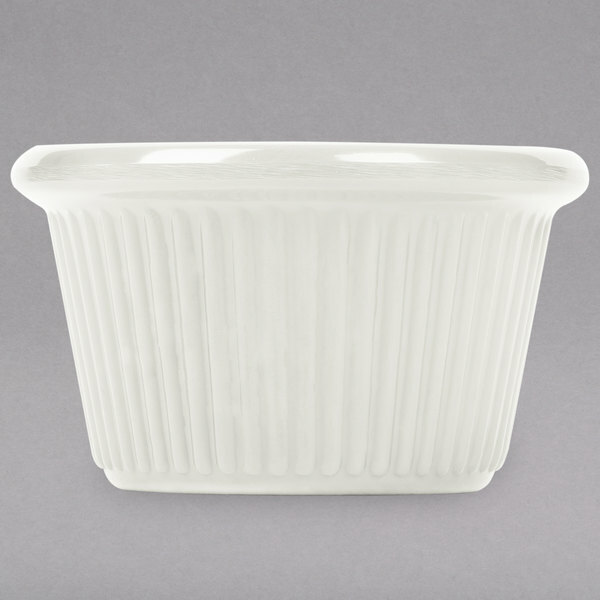 Serve this ramekin throughout the day for a variety of purposes, and it can be cleaned easily in a dishwasher to eliminate the hassle of hand washing. 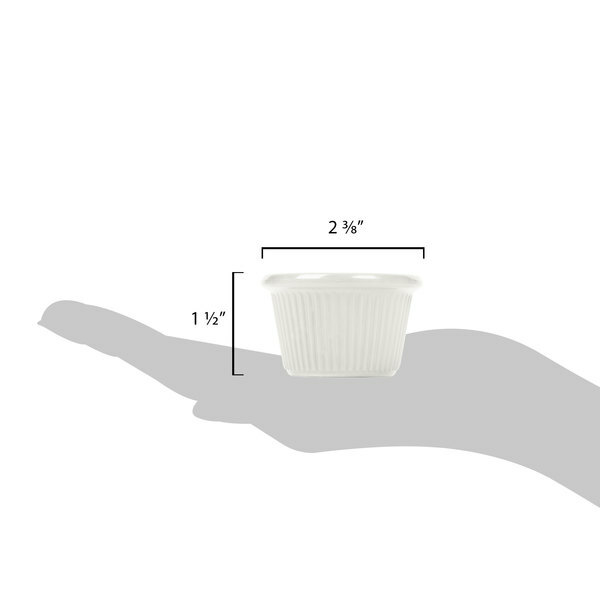 Lightweight and easy to transport, this ramekin has a 1.5 oz. 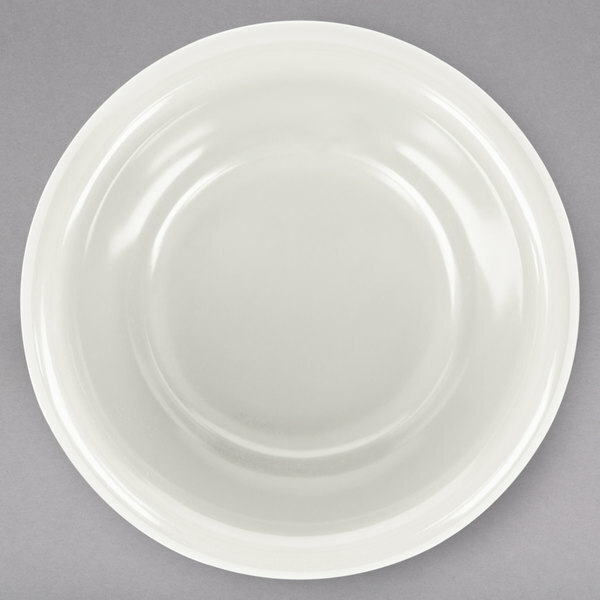 capacity, a classic bone color, and a fluted design that adds a textured appearance and some extra flair to your dinnerware collection.